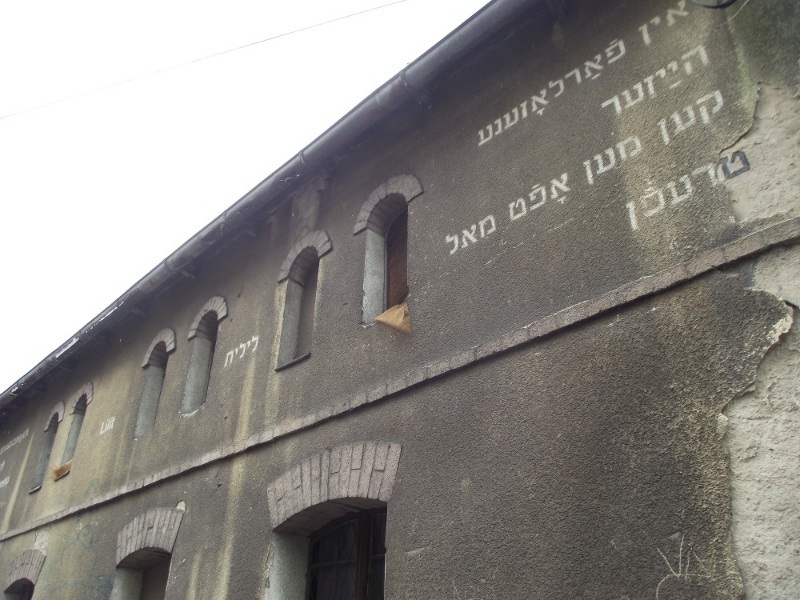 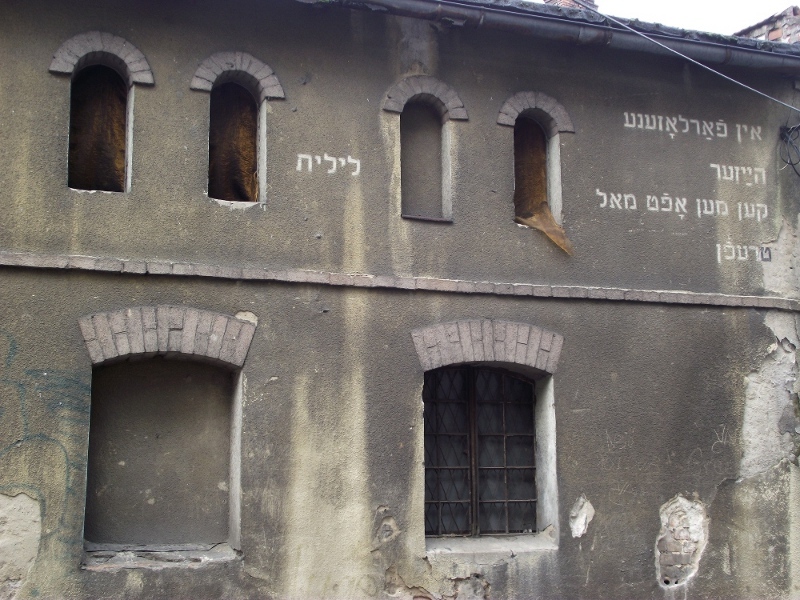 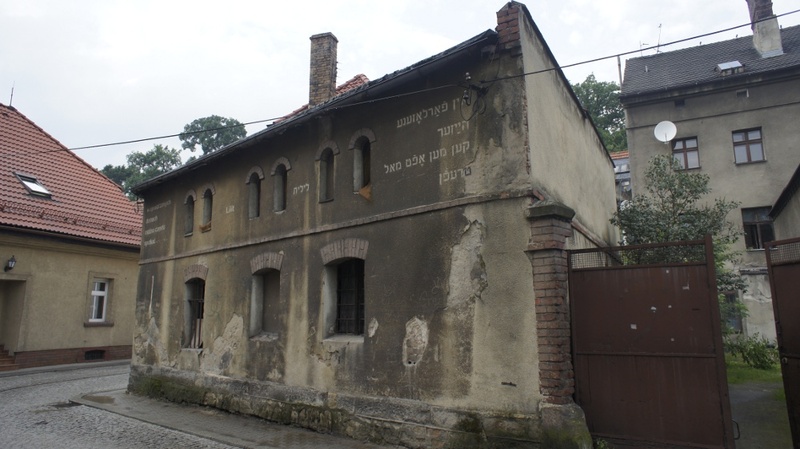 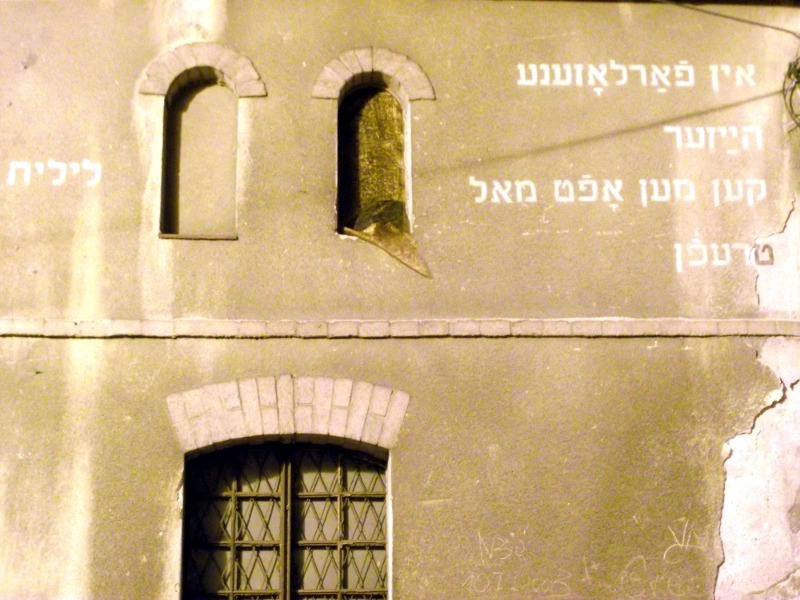 The installation in the town Pszczyna is positioned in the upper part of the facade of a building located in short distance from the cinema, "Wenus" (a former synagogue) and other places connected with the presence of Jewish life in this town in the past. 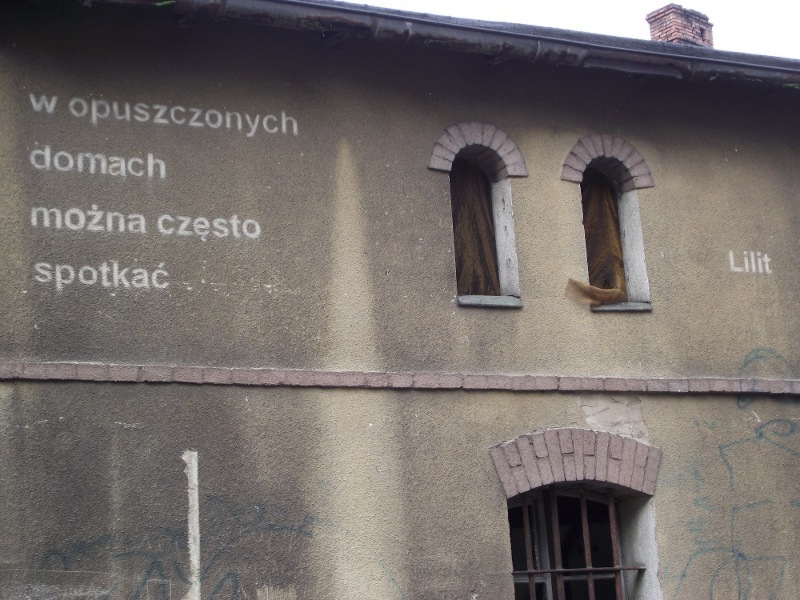 It became an inspiration for putting the inscription both in Polish and Yiddish languages and this way reminding the contemporary citizens of Pszczyna about this aspect of their history. 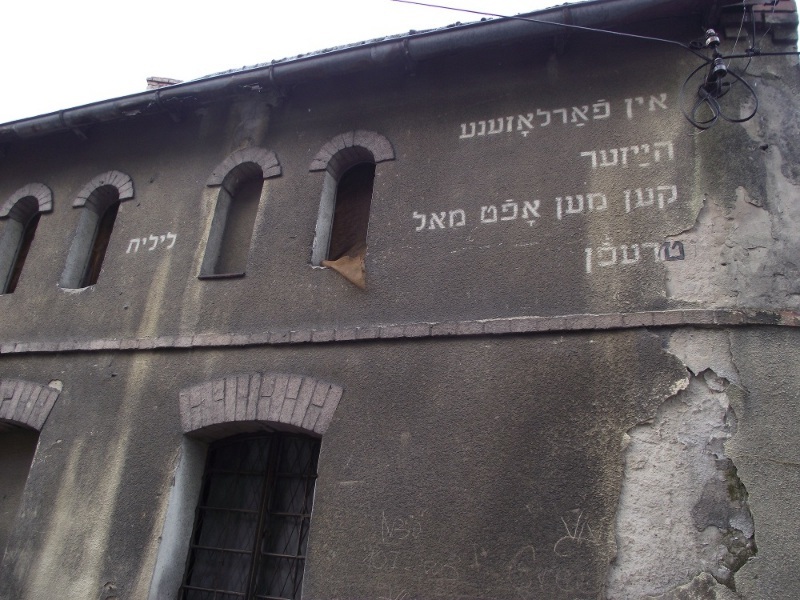 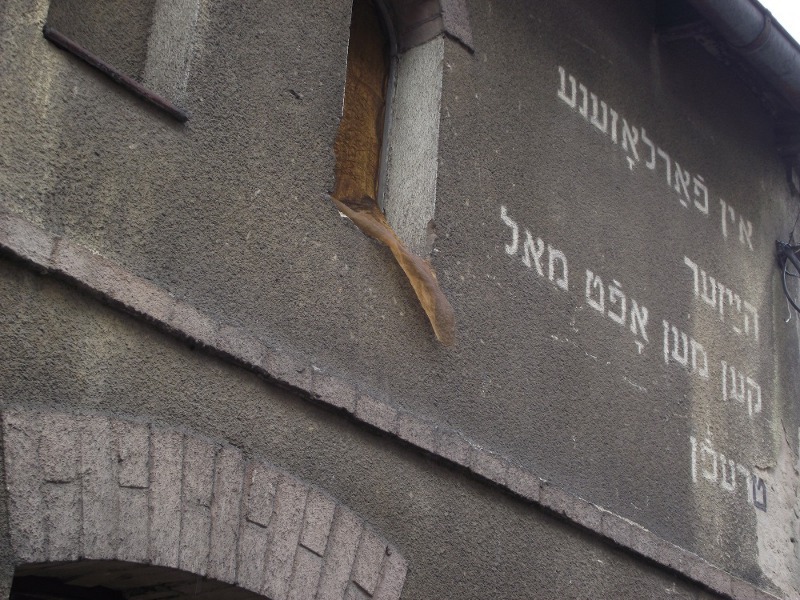 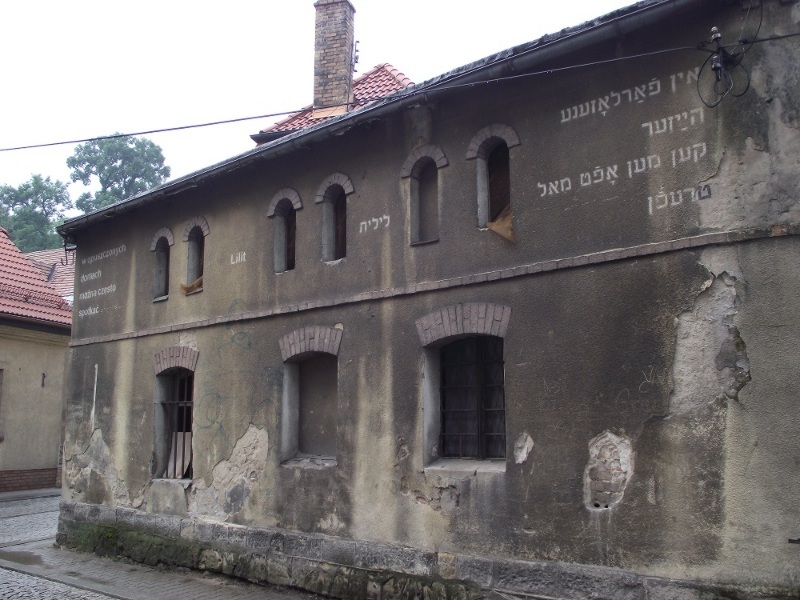 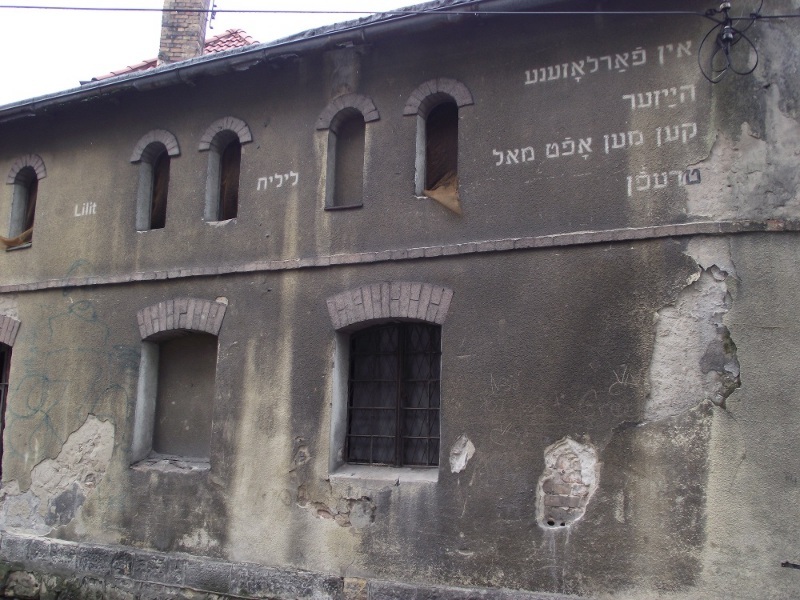 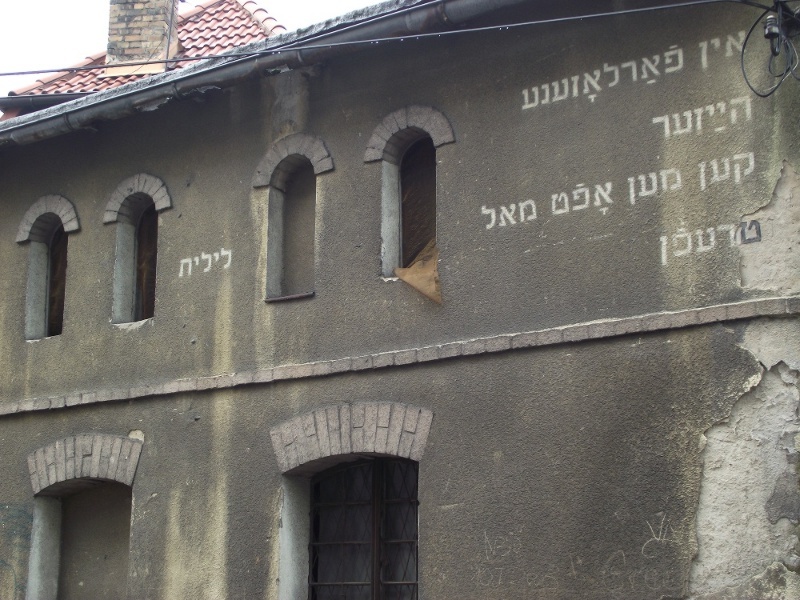 The inscription: "In abandoned houses one can often meet Lilith" (Yiddish: in farlozene hejzer ken men trefen lilis) was made using a stencil technique. 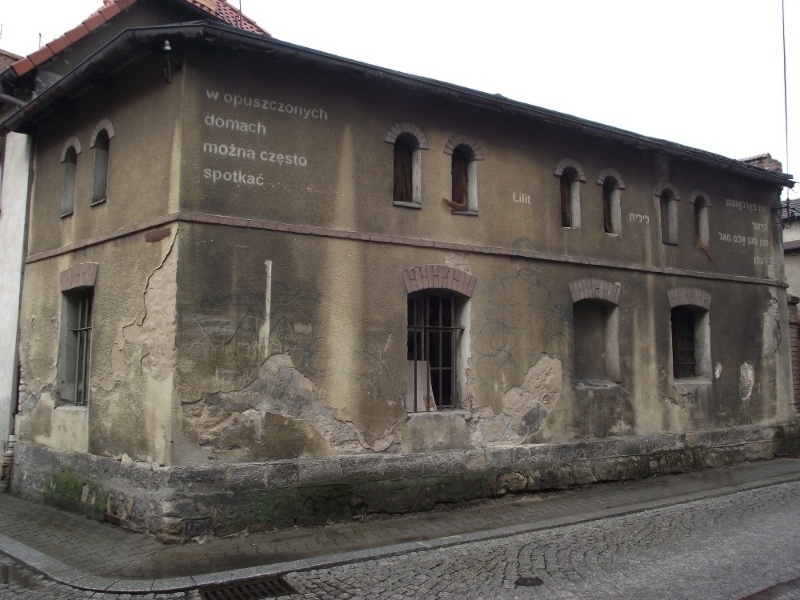 However, it was not painted, but "cleaned", wiped out of the dirty plaster. 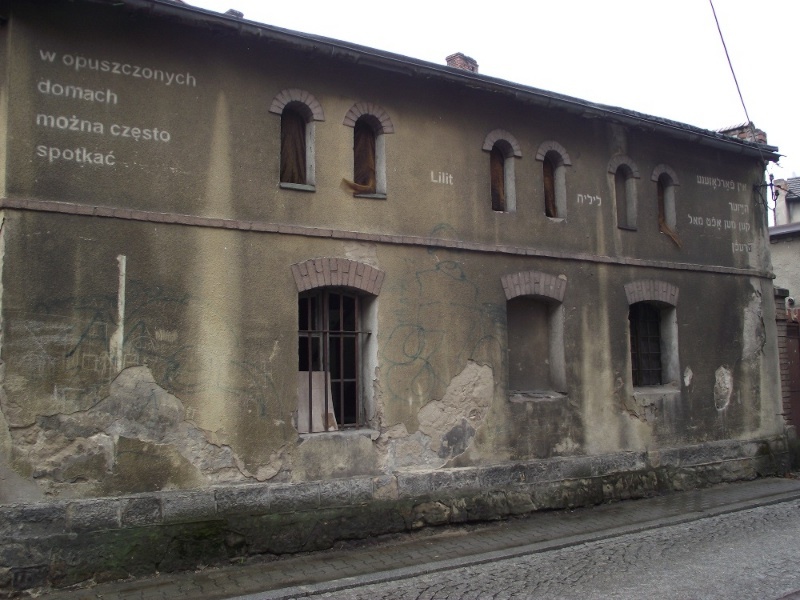 Thus the work is a symbolic revitalisation of the abandoned building, whose future is uncertain. 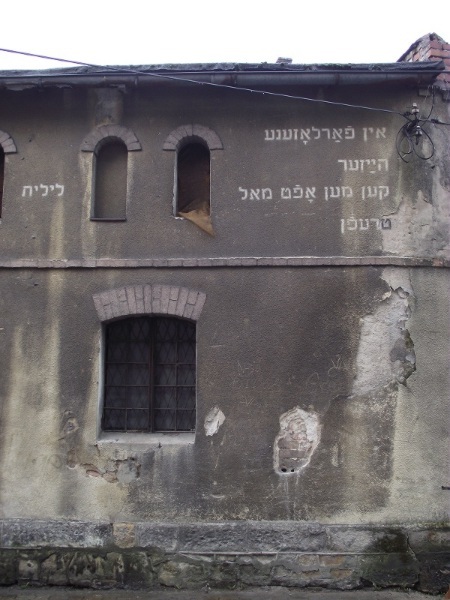 I used the superstition existing in the Jewish tradition that abandoned houses are haunted by Lilith. 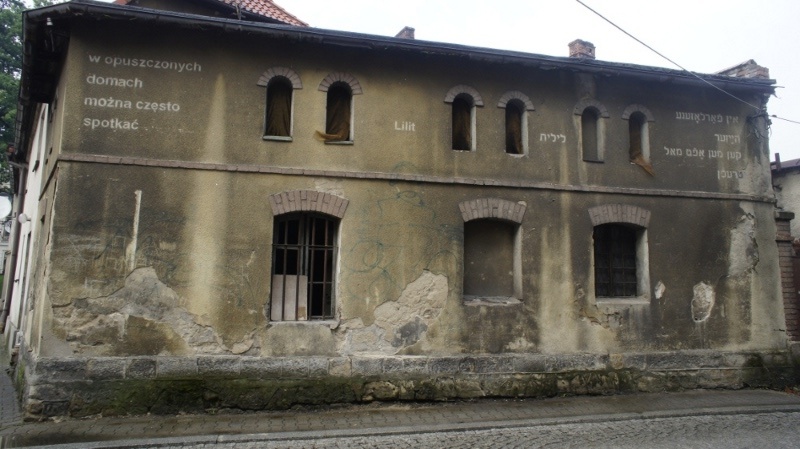 The mysteriousness of the installation is emphasised by glossy curtains hung in the windows, whose colour changes depending on the time of the day and the weather. 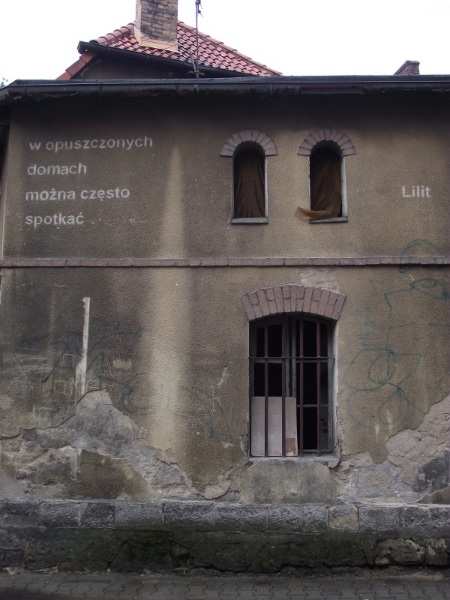 The installation is a third work created on the facade of abandoned house, however during the making of this work, I decided upon an idea for its title "Sur-realisation" and a continuation of works referring to the architecture and the context of a specific place.